Excellent Owner Carry Opportunity! Relax and enjoy small town living for under $40,000! Double lot with full RV hook up! Tons of room to grow! Plenty of room for your toys or rent out the RV spot for extra cash! 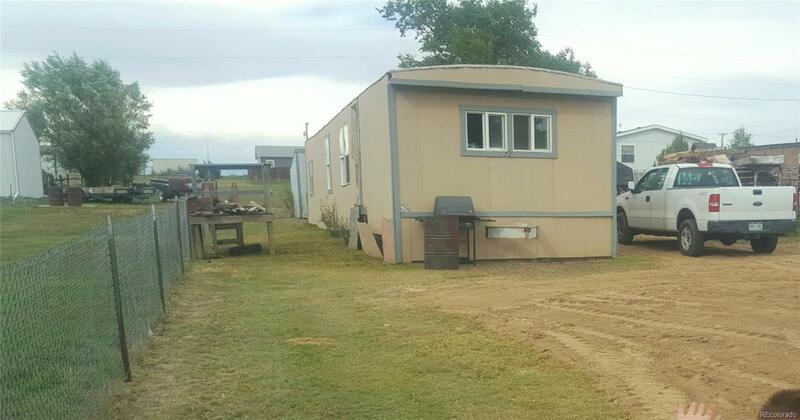 Price includes remodeled single wide Camelot mobile unit-constructed in 1981, 2 bedroom, 1 bath, 14 x 56-Needs some cosmetic love but priced accordingly. Seller will purge with land at buyers request and is offering owner financing at increased purchase price-contact agent for details. Don't miss out on this steal!